I posted about Logarde Thin a short while ago and since then has seen epic interest in this font. I have not quite seen such a swell of enthusiasm for a font as Logarde. 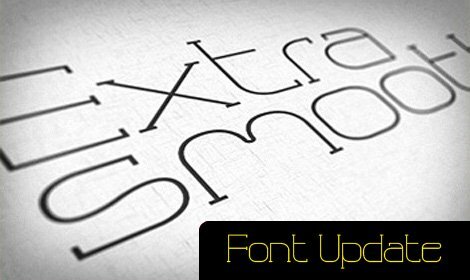 As promised in the previous post, ‘Logarde Thin – Free Typeface for Immediate Download‘, here is an update from Sebastian. This is only a visual tease, and shows the other glyph’s that Sebastian is working on, including numbers and punctuation. I have been applying the ‘thumb screws’ to eek out when this next version of Logarde Thin will be available, but no screams from my ‘pit’ just yet. This is the current version available below for download.